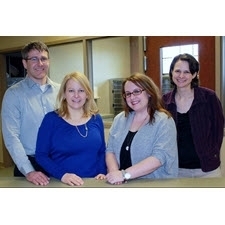 About Us - Animal Clinic of Chardon, Inc. It is the mission of Animal Clinic of Chardon to serve the needs of your pet by working together to provide comprehensive, compassionate care, to promote wellness, prevent illness, relieve pain and suffering, restore health, and strengthen the human-animal bond during each stage of life. We will also strive to respect, teach, and inform you by maintaining a well-trained and educated team. Animal Clinic of Chardon has been a proud member of the American Animal Hospital Association for over 25 years. We pride ourselves in being one of the few to be fully accredited with the American Animal Hospital Association (AAHA). We voluntarily go through screening and testing with AAHA to apply for our accreditation. We feel it is our duty to our patients and their parents to maintain our accreditation as it holds us to providing the highest standards of care for our beloved patients. Click here for biographies of our doctors.